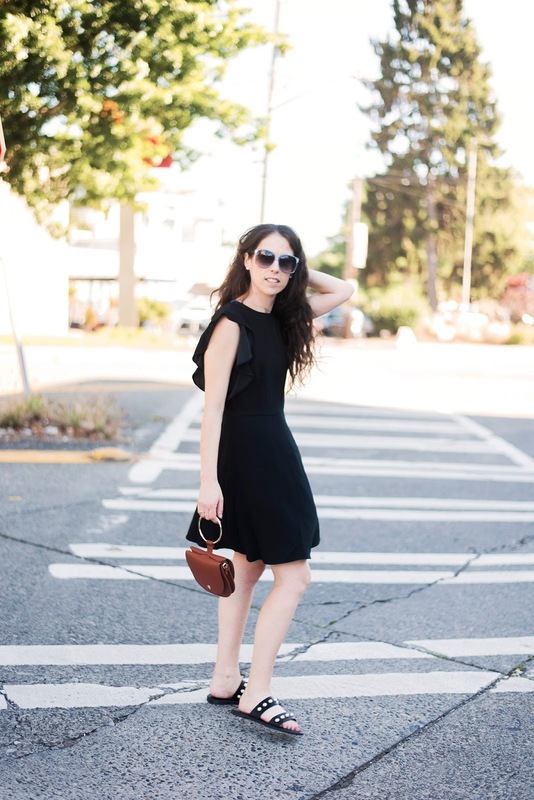 Whenever I am in doubt on what to wear to a holiday party, family gathering or night on the town, my go to is almost always the Little Black Dress (LBD). It is that essential wardrobe item I can always count on and feel confident in. I like to believe the LBD will take me anywhere! Just throw on a jacket and pair of heels, grab a clutch and you're party ready! Or dress down with a pair of sneakers and an oversized cardigan sweater for an afternoon with friends. 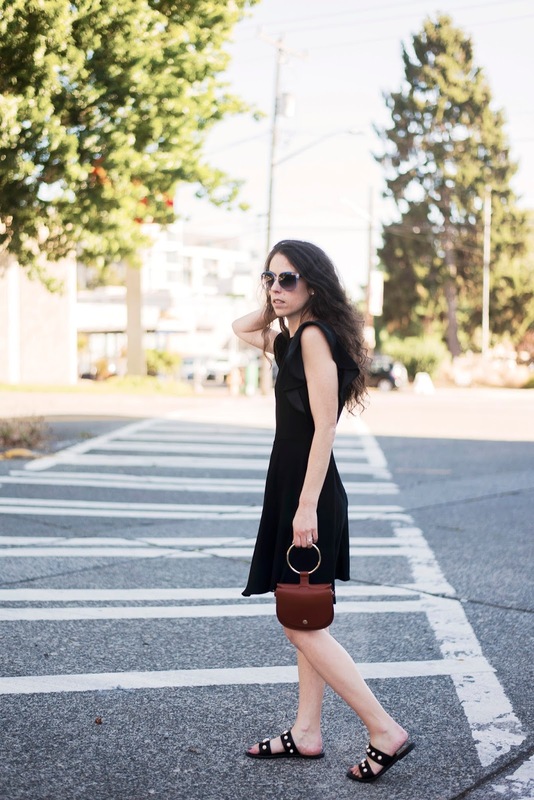 The LBD makes the perfect traveling companion and more often than not at least one will end up in my suitcase as my jetset partner. 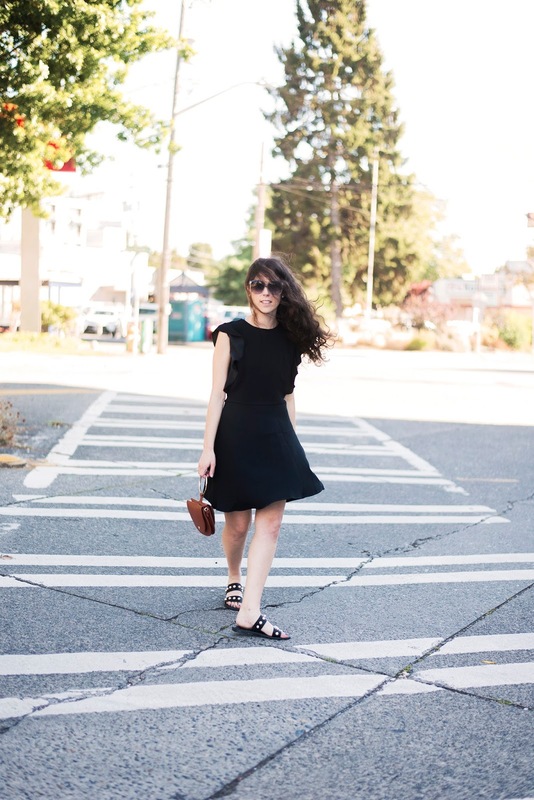 The Little Black Dress truly is my closet BFF! However, it is the story of the LBD that really catches my attention. This simple garment does not have so much a simple history. Similar to that of denim, it is a tale of the wealthy appropriating the clothing of the working class and poor. In October 1926 American Vogue Magazine featured a sketch of a Chanel design for a long sleeve, calf length, black sheath dress and predicted the dress would become a uniform for "women of taste." They called the little black dress a "Chanel Ford," simple with potential for enormous and great success, and named after the era's democratic black model-t automobile. However, at the time, the Little Black Dress was actually the uniform of many poor and working class women and our current closet BFF was designed to keep them in their place and out of the aristocracy. In the 1860's the uniform of choice for maids in England (with the U.S. and French following suit) was a white mobcap, apron and a little black dress. Relationships were changing between upper middle class women and their servants, becoming less intimate and more authoritarian. Prior to this, "the help" of the house had typically worn hand me downs from the family, but due to a few embarrassing mix-ups between maids and mistresses, this new uniform became the norm. Shopgirls were also on the scene in the 1880's with the rapid rise of industrialization. Dress shops, department stores, hat shops and dry goods establishments opened in urban centers for consumers to spend their newly found disposable income on and cheap labor was needed to staff them. Unmarried young women, or "shopgirls," came to the City seeking employment, often with a disposable income of their own for the first time. With the mass production of the sewing machine in the 1870's, advances to fabrics and textiles, the affordability of colored dyes and new found availability of paper patterns, shopgirls could easily replicate French fashions for the first time with ease. Concerned that these shopgirls were blending in with their clientele, or even outshining them, many employers responded by requiring them to dress like servants in a simple little black dress. By the 1890s, the little black dress was the not only the uniform of shopgirls in New York, London, Paris and other major cities, but also the uniform of "hello girls" or telephone operators. Thus, in the 19th century, the little black dress became a marker of class. Young women complained of the LBD uniform not out of a loss of a self expression, but that of a promise of social mobility. And in off working hours, would take advantage of the newly available sewing machine, affordable fabrics and paper patterns to dress like high society in more colorful fashion. Women of affluence and society took their revenge by re-appropriating the Little Black Dress. By the early 1900's, socialites donned LBD's to appear youthful and edgy, and fashion magazines and society pages featured the LBD decades before it graced the pages of that 1926 Vogue. By 1915 the Little Black Dress was so on trend it was even worn by the wife of the U.S. Secretary of Treasury in public. Coco Chanel, while not the inventor of the LBD, was smart enough to pick up on the trend that made it so wildly popular ~ la pauvreté de luxe, or "luxurious poverty." A look exclusive to those that could "afford" it, to look poor by pretending to simply not care about fashion. But upon closer inspection, the upper class woman's little black dress would give away some detail to her supposed anonymous distinction, a certain fabric or cut for those in the know to highlight her class. When Vogue published Chanel's sketch it propelled the popularity of the simple-yet-elegant Little Black Dress. 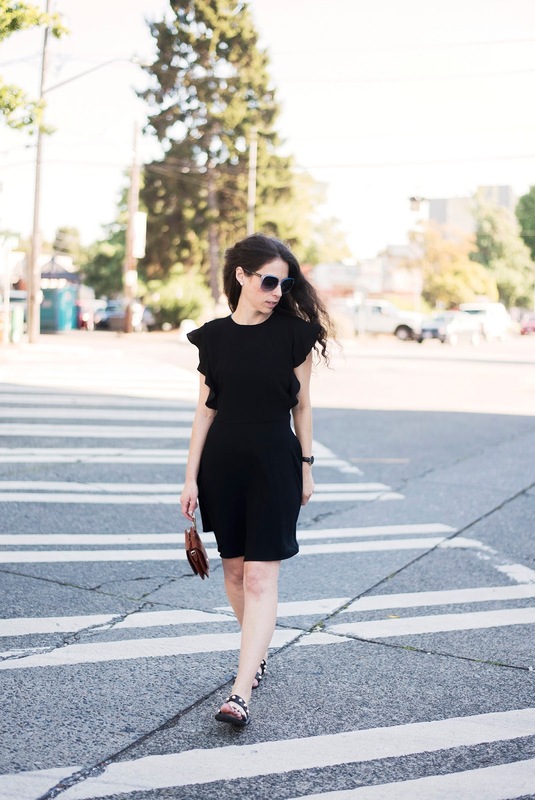 Surviving in popularity even through the Great Depression, by the 1940's women from all economic backgrounds had found the LBD flattering and a closet classic. A favorite of entertainers, performers and Hollywood, even French singer Edith Piaf chose the LBD as her trademark. The 1960's brought Audrey Hepburn as Holly Golightly in that Givenchy gown in 'Breakfast at Tiffanys'. And is there really more an iconic LBD image? 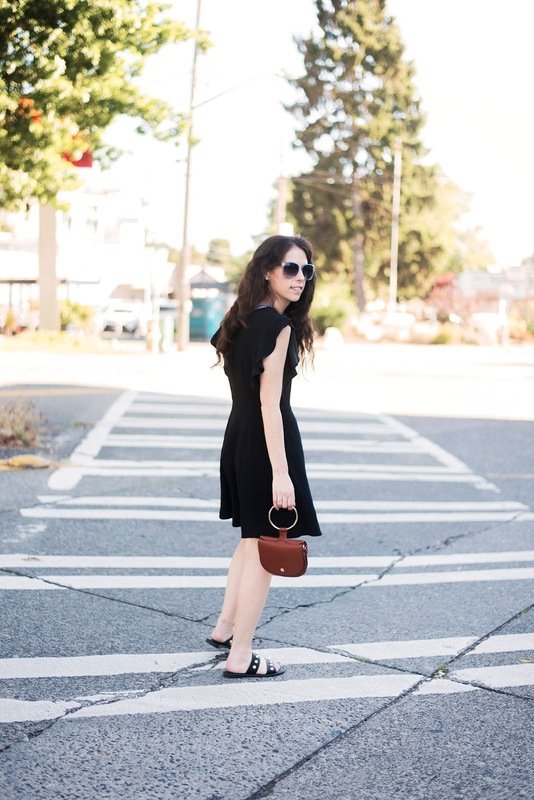 Today, the LBD is known as a closet classic that adds instant glamour and is often referred to as "equal-opportunity" fashion ~ versatile, classic and chic. But there is actually very little "equal opportunity" historically about this particular garment; the history of the LBD is one of marking and mediating social boundaries. So, today, while the LBD may conjure up images of Audrey Hepburn or Princess Diana, it is also important to remember their predecessors that brought the little black dress from beyond work costume to on trend and to now a closet staple. The women folding clothes, balancing trays, dusting corners, working switchboards and seeking the American dream. To you, for my closet BFF, the LBD, I say Thank You! An excellent story - I had no idea. Thank you for this illuminating history! This is a very nice post and the dress is amazing, I would definitely wear this! For one, the pictures on this post are jaw dropping. Their clarity is remarkable. The content is also good though it could have been more extensive. This post is, overall, a very good one.